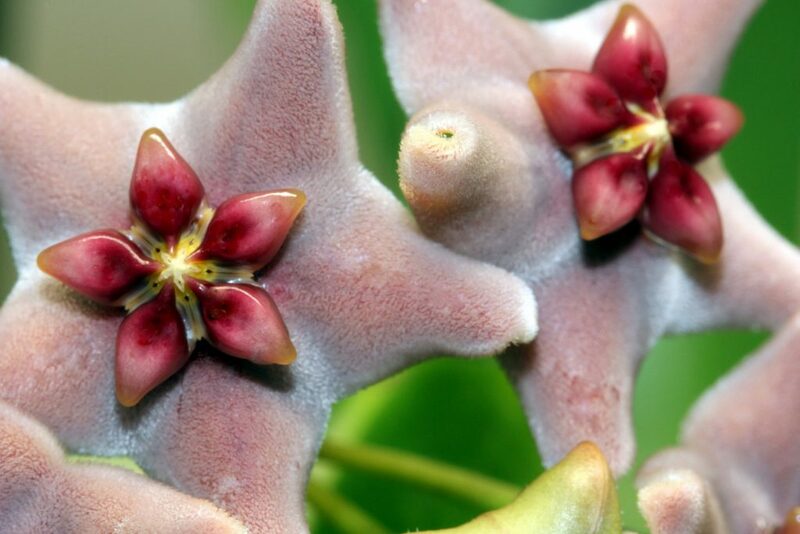 Below you will find my favorite flower photo of Hoya vitiensis and will see the characteristic curl at the ends of the corolla tips. I think that Hoya vitiensis has a place in every collection of Hoyas. The flowers are unique, quite beautiful and smell vaguely of a raspberry chocolate truffle. If you have a little bit of patience, I think that most of you should find a some room to squeeze this outstanding and very rewarding plant in. This entry was posted in Hoyas on November 28, 2016 by Doug.